If you think this eggplant parmesan looks tasty, trust us– it’s a million times more delicious than it looks! Read on for the recipe of an easy vegan and gluten-free take on an Italian classic. We have so many tomatoes ripening in our garden that this salsa is so easy and cheap to make. Whenever I want a snack I can just throw it together to eat with nachos and it’s incredible fresh and yummy. 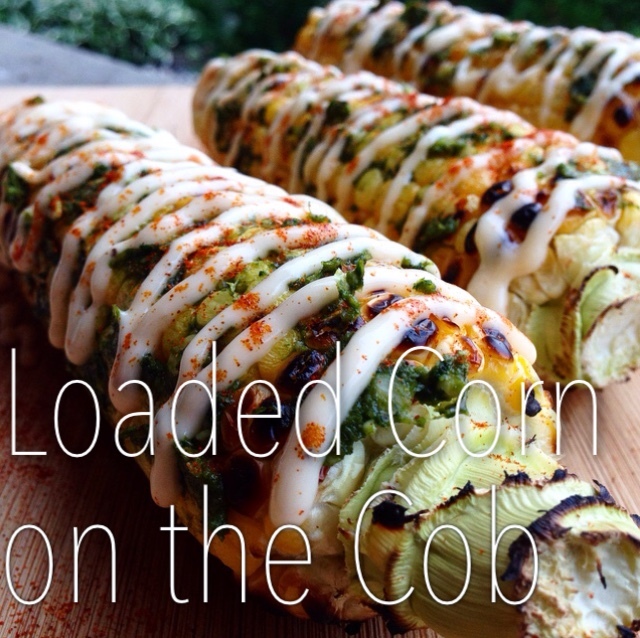 Click ahead for full (rediculously easy) recipe. 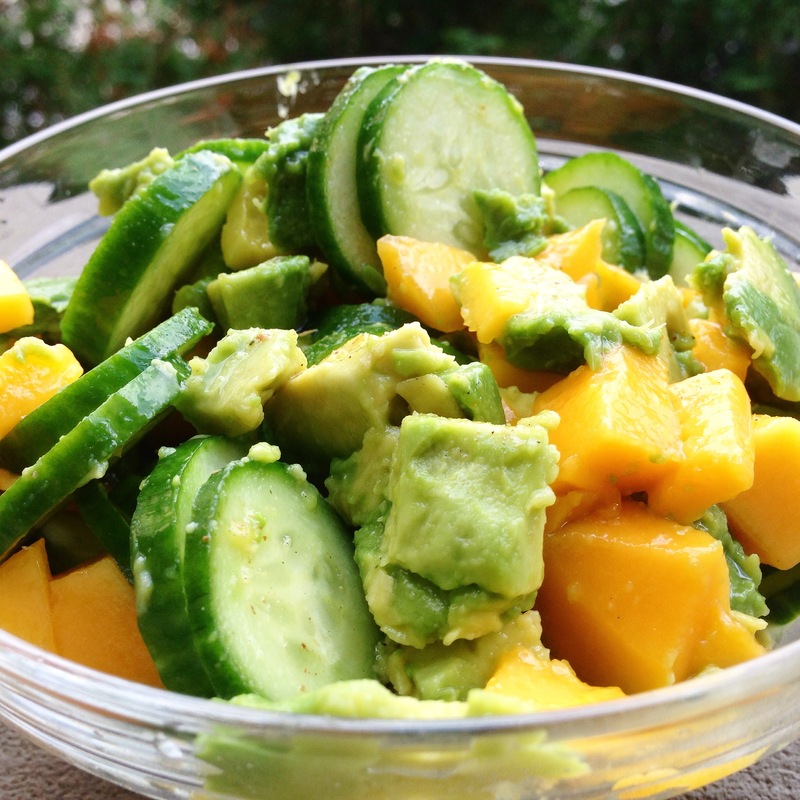 Hold onto summer with this sweet and refreshing salad! This simple salad boasts a great taste and benefits your body. Cucumber is full of water and many nutrients; mango is often nick-named “the king of fruits” due to it’s abundance of nutrients and health benefits; and avocado is the king of all food in my heart because of it’s healthy fats, high nutritional value and creamy texture! 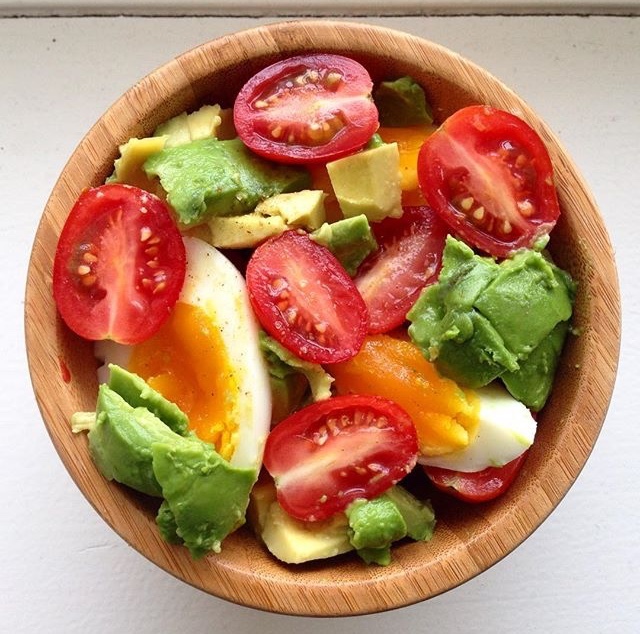 Enjoy this salad for breakfast or as a side for dinner! It’s easy to make, with ingredients that you probably have in your kitchen right now!